My astrological prediction for January 2011 could have been summed up in a sentence. “Busy until interrupted by a snowstorm before returning to hectic.” The trend continues in February and my backlog of “intended” posts from over the holidays is piling up like the cold white stuff piling up further North. 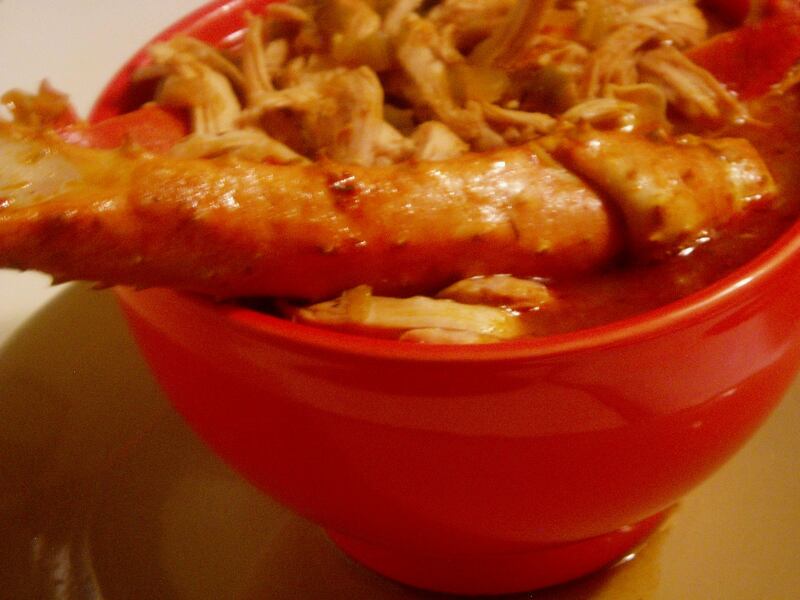 Good Gumbo eating weather if you have the foresight to stock up on your grocery and seafood well before the storm hits. 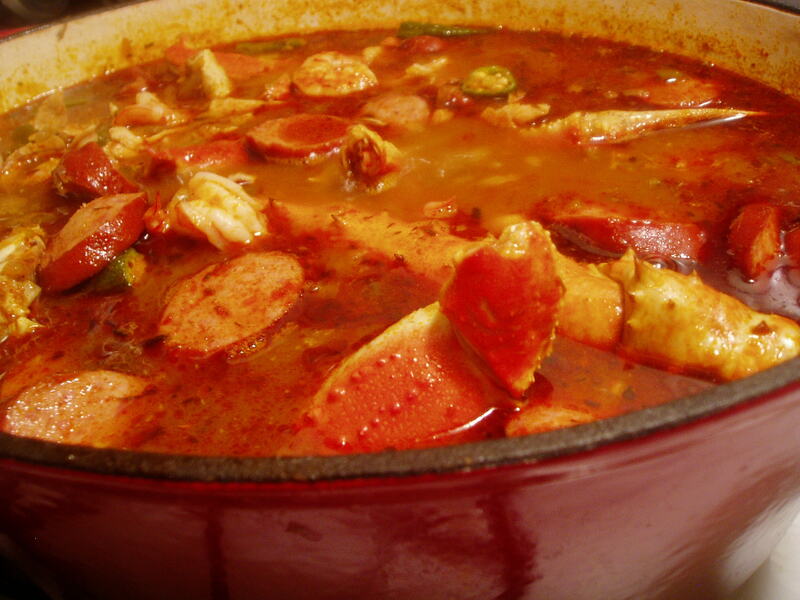 Gumbo is the traditional culinary high point of the Rice family’s New Year’s Day celebration. Did I mention his family has roots in Louisiana and Texas? Sammie has managed to hang on to the tradition with a little help from me. I in turn got my gumbo making lesson over the phone when I was still a brand new daughter-in-law. The gumbo keeps getting better with time. Each batch tastes like the best batch I ever made but then we only make it about four times a year might have something to do with that feeling.I’d love to share the recipe with you but Sammie insists on keeping the family recipe a “secret” so I’m afraid there’s no recipe in this post. All I am allowed to post are these pictures. No harm in mentioning that some of my tweaks include using a lot more garlic than is the norm, I also use a bit of cayenne pepper. I poach chicken with skin and bone and then lose the skin and bone. I also use the water from the chicken to make the shrimp shell stock. Maybe I can come back and add the recipe if Sammie ever changes his mind. Your gumbo looks unbelievable and adding extra garlic or hot peppers?? right up my taste bud zone.